Cute photo! Happy Valentine's Day! Happy Valentine's Day, cutie pies! 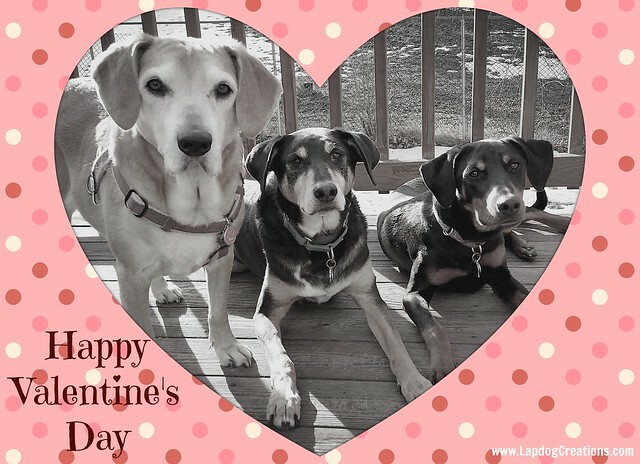 Big cuddles for a Happy Valentine's Day, pals! Very sweet photo! Happy Valentine's Day! Adorable framing of your picture! Hope you all had a great day and were able to stay warm! Dirty Dog? Quick Bath Wipes to the Rescue!